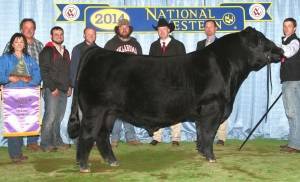 Grand Fortune was the 2014 NWSS Grand Champion Simmental Bull! 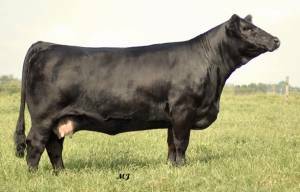 He is solid black with outstanding EPDs across the board. We really like his first progeny. 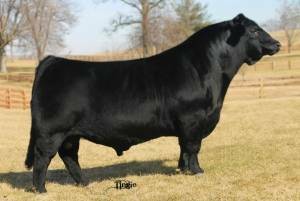 His dam is becoming one of the most recognized donors in the breed for Tingle Farms, KY. Grand Fortune will add extension and body length and we envision him working especially well on Steel Force pedigreed females.